OAK BROOK, Illinois, June 12, 2018 /PRNewswire/ — Joint Commission International (JCI) is pleased to announce John Yoon, MBA, as JCI’s managing director of the Asia-Pacific Region. In this role, he is responsible for developing relationships between JCI and health care organizations, governments, medical societies and industry clients in their efforts to reduce risk and improve health outcomes. Yoon joined JCI in January 2017. With more than 13 years of experience in health care and finance, he brings a wealth of knowledge in leading large-scale projects, as well as financial and operational consulting for health care systems and cross-border businesses. 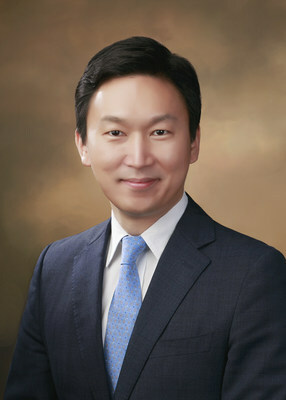 Prior to his role with JCI, Yoon was Philips Healthcare’s regional director of Southeast Asia and head of Philips Capital at the Asia-Pacific office in Singapore. In these positions, he led large-scale hospital projects, capital asset financing and turnkey equipment solutions to governments and health care organizations across Asia. He also has managed a multi-specialty spine surgery and rehabilitation hospital as the general manager at Mubadala Development Company in Abu Dhabi, United Arab Emirates, and served as head of international business at Wooridul Spine Hospital in South Korea. Yoon has worked with leading health care providers in Asia, Europe and the Middle East on strategic partnerships and joint ventures, and led Wooridul’s first JCI accreditation. He is an expert in strategic planning, new product launches and project management, which guides his work as new organizations and long-term clients seek accreditation. "I look forward to continue building relationships and helping our health care partners in the Asia-Pacific Region," Yoon said. "JCI offers various practical solutions to support hospitals and health systems as they make continuous improvement for increased patient safety and quality outcomes. In turn, this builds an organization’s standing in the community and often leads to improved financial performance from increased patient satisfaction and referrals." Yoon takes over the regional leadership role formerly held by Joyce Chang, MHSA, who moved into a newly created position in JCI’s U.S. office leading a strategic planning project for the International Accreditation Department. Chang stated she is excited about Yoon’s promotion to managing director. "JCI is very fortunate to have John in this key role," Chang said. "He is a tremendous asset with a proven track record across multiple health care industries and locations." With more than 323 accredited organizations in 17 countries across the Asia-Pacific Region, Yoon’s innovation and creative problem-solving will be an asset to health care organizations throughout the region. As part of ongoing local education activities, the Asia-Pacific Region offers a monthly webinar series and conferences for health care professionals on quality standards and JCI accreditation. For more information and to register, visit www.jointcommissioninternational.org/. For more information and to register, visit www.jointcommissioninternational.org/singapore-accreditation-update-2018/.